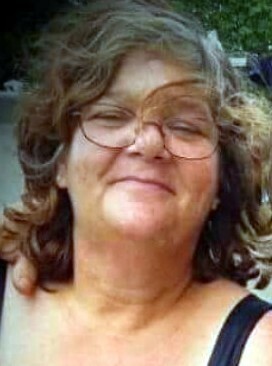 Joanna Kay Lewis, 56, of Montpelier, passed away on Tuesday, Feb. 5, 2019, at the Defiance Area Inpatient Hospice Center in Defiance. She was born on July 24, 1962, to Calvin and Alice (Tewell) Caple in Upper Sandusky, Ohio. Jo graduated from Fairview High School. On Dec. 23, 1988, she married John P. Lewis II and he survives. Jo was an amazing wife and mother. She loved to spend time with her family and enjoyed spoiling her grandchildren every chance she got. Jo loved to go to garage sales and thrift shops and she also was fond of quilting. She is survived by her husband of 30 years, John P. Lewis II; children, Jessica Ingle of Pemberville, Josh (Leann) Ingle and Dave Ingle, both of Bowling Green, Jessie (Eric) Wiyrick of Montpelier, John P. Lewis III (Jamie Terrill) of Pioneer and Emily Lewis (Steven Jordan) of Bryan; 12 grandchildren, Jakkob, Autumn, Hunter, Gunner, John, Celica, Bentley, Anna Jo, Dodge, Joe, Sabrina and Elizabeth; three brothers, James (Traci) Caple of Columbus, RJohn Caple and Francis Caple; two nieces, Dawn and Darlene; Evan Ingle and other family members and good friends. Jo was preceded in death by her parents and nephew, Charlie Caple. Per Jo’s wishes, no funeral services will be held. Memorial contributions may be made in her memory to the Defiance Area Inpatient Hospice Center.